power outage emergency in your koi pond What’s MOST important to Koi fish during a power outage? they will quickly consume all available oxygen in the pond and die! Water with an oxygen concentration of less than 3 mg/l will generally not support fish. 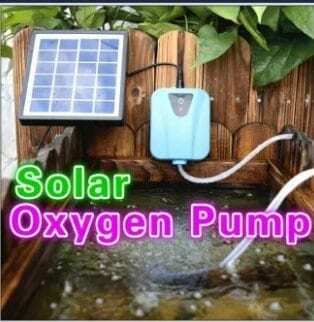 1. solar powered pond aerator-You could consider solar powered pond aerator with batteries. 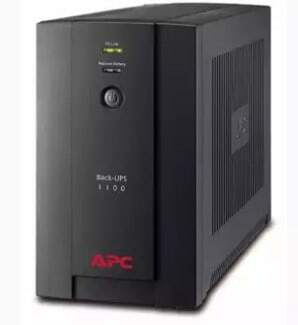 2. ups battery backup (UPS) to run your regular air pumps. An uninterruptible power supply (UPS) can also carry your pond through a brief power outage. They are available at most office supply or computer retail stores. The UPS works by providing the necessary current via a battery. The battery remains charged by being plugged into the wall outlet. This means that your pond will not flinch even a little bit when the power goes off, as it is will not be powered by line electricity. The UPS will last longer if used to power small pumps or air pumps with low current consumption. The larger circulation pumps will usually run only a few minutes. 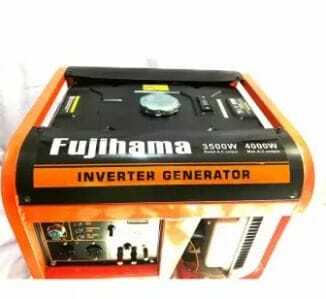 3.Finally, if you live in an area where power outages are more common, you may want to consider a gasoline-powered generator. The downside to generators is that they can be expensive, noisy, and rather heavy. However, they can keep your pond (and also your home appliances) going throughout an extended power outage. An important safety tip: DO NOT feed your koi fish during a power outage unless it is absolutely necessary, as it will cause pollutants and algae to build up faster. Most fish can go 5 to 7 days without being fed. Measure the length, width, maximum depth and average depth of the pond in feet. You will use these measurements to find the volume of the pond. Calculate the volume of the koi pond using an online tool such as pond calculator. This calculator can also determine a recommended pump size and how many fish the pond can safely support. Apply 1/2 cup of 3 percent hydrogen peroxide solution per 100 gallons of koi pond water to increase the oxygen content. The peroxide will take effect within an hour, and the increased oxygen will last for about four hours. Add 1/2 cup 3 percent hydrogen peroxide solution per 625 gallons of pond water when using peroxide after a potassium permanganate treatment. It will take about an hour for the water to clear. If you use hydrogen peroxide in the midst of a potassium permanganate treatment, wait three to four days before resuming treatment. Use of hydrogen peroxide to increase oxygen levels is only a temporary solution. Continual use can damage the koi’s gills. Home aquariums not only bring beauty to your home décor but can offer you therapeutic benefits as well. 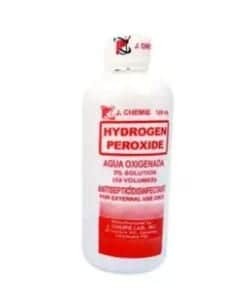 to the inhabitants, is to use hydrogen peroxide. about 60 milliliters of three percent peroxide per 66 gallons of water. Slowly add the peroxide to the tank using a syringe or dropper for five minutes. If you can, try and apply it directly to the algae. It will react with the algae, killing it, and then diluting. the water will help keep your fish more comfortable and safer during the carriage. water for a more controlled release of oxygen. Well this depends on a lot variables. I also don’t know what you mean by pump… water pump or an air pump? If we are talking about air then you need to consider many variables. The volume of water, the size of the fish, the temperature of the water, the quality of the air above the water. You really need to know more to answer this question. In a pond without an air pump if it were large enough you many never need an air pump. If your fish were in a bag with pure O2 then it depends on the temp, stress and size of the animal. Again not sure what type of “Pump” you are thinking of – water movement or air… but either way there are a lot of variables that had to be thought of before answering this question. A pump will pull water and then push it through a filter of some sort and return it to the pond. If at the return it splashes then it will oxygenate the water. Two thing occur here -oxygenation of the water and improved water quality. The chemistry of water quality is complex and it’s balance is necessary for fish to be healthy. A filter – pump- is necessary to achieve that. ammonia, nitrite and nitrate which will happen without a pump to run a filter. A ph crash kills fish overnight. There are easy steps you can take to keep fish alive in a blackout. Fortunately, for most of us, the worst result of bad weather is a short power outage. The climate zone you live in and time of year also affect the welfare of your fish while the power is off. There are ways to help prevent or reduce fish loss during and after these storms with a little planning. The two most important considerations for your aquarium are temperature and dissolved oxygen. maintain enough dissolved oxygen in the water to sustain the fish. By far, the best option is to have a generator powerful enough to run all of the aquarium’s equipment. of which may have reached adulthood during their time in your tank. in aquarium stores or tackle and bait shops. 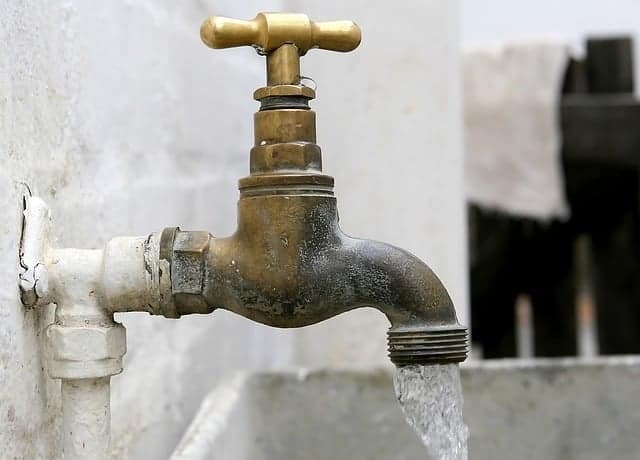 kits to monitor water quality for the duration of the power outage. Your husbandry skills can have a significant impact on how well your fish survive a power outage. maintenance, water changes and water quality testing. rise in toxic ammonia will be slower when the filtration system is not running. are correct, you don’t have to worry about water quality immediately after a power outage. How long can fish survive without power? In this shallow water, the movements of the fish will cause the water to circulate so it can pick up more oxygen from the water surface. The fish can survive under these shallow-water conditions for more than two days, maybe even a week or more, unless they are really crowded or not in full health to start with. How do I keep my fish alive? Always use water conditioner when adding new water. 1. KOI FISH MEANING AND MYTH-the world, koi fish are well-loved and respected. Often associated with Japan, koi actually originated from Central Asia in China. They were introduced to Japan by Chinese invaders. The koi got their name around 500 B.C, but the fish itself has been around for much longer. Fossils of ancient koi date back 20 million years. Natural genetic mutation brought about the brilliant colors in koi known today, and in the early 1800s Japanese farmers began keeping them for aesthetics. 2. The legend of the Koi fish – the Dragon Fish-A long time ago, in the distant past, the water of the blue river that flowed from the sky, and the golden river that flowed from the land were separated by the legendary Dragon’s Gate. The golden river, so-called because of the golden colour of its water, was the last place where the inhabitants of the sea could swim freely, after the gods that walked on the earth had destroyed their massive home, Believing themselves to be the owners of everything they laid their eyes on. Amongst all the inhabitants of their water, the Koi family were the most beautiful of all, gleaming in the sunlight like brilliant stars. The black one was father Koi fish , the red one was mother Koi, and their little son was a remarkable deep blue colour.What the little Koi fish wanted more than anything was to reach the waters of the blue river after hearing from his father how there was a time where there were no barriers between one place and the other. According to Chinese mythology, the Dragon’s Gate is located at the top of a waterfall cascading from a legendary mountain. Many carp swim upstream against the river’s strong current, but few are capable or brave enough for the final leap over the waterfall. If a carp successfully makes the jump, it is transformed into a powerful dragon. A Chinese dragon’s large, conspicuous scales indicate its origin from a carp. The Chinese dragon has long been an auspicious symbol of great and benevolent, magical power. Liyu Tiao Long Men, was originally used as a metaphor for a person’s success in passing very difficult imperial examinations, required for entry into imperial administrative service. 4.Legendary Carp-Carp have a strange tendency to appear unusually powerful in fiction, often being gigantic. Giant Carp are venerated for being colorful and allegedly wise pond dwellers, especially in Japan. Sort of like swimming parrots. They are known for their ability to jump many feet into the air and their long lifespan, something which is usually forgotten amongst their more domesticated, ill-kept brothers called goldfish. According to legend, a sufficently old and powerful carp that is able to climb a waterfall may even become a dragon. See Seahorses Are Dragons for another animal that turns into a dragon in Japanese Mythology. Oddly, despite goldfish being a sort of carp, and supposedly being flushed down toilets on a regular basis, this myth rarely seems to cross over with the “giant alligator in the sewer” Urban Legend. Probably because the carp has barbels which make it look more like an Eastern dragon while goldfish don’t…thus a goldfish won’t turn into a dragon at all. 5.Carp and Dragons in Vietnam-There are a story in Vietnamese mythology that’s similar to the Chinese or Japanese story about the koi fish becoming a dragon. There was an emperor who wanted to create new dragons because dragons bring rain, which helps crops grow. So many animals in the ocean were summoned to have a competition, where they had to jump over three gates of rain. The first animal that could jump over all three would get to be transformed into a dragon.First, a fish—I think it was a tilapia?—tried, but only got past the first gate. The second to try was a catfish, but it hit its head on the second, so its head got flattened. The emperor rewarded it with dragon whiskers for effort.